You might have heard of Penn and Teller: Fool Us, a program that was broadcast in the UK four years ago. It’s back, now produced in the U.S. and airing on The CW network. The best news for me is, I had a chance to appear on that program, and the episode I was in will be aired on July 20, 2015. If you’re not familiar with Penn & Teller, they’re the respected pair of magicians featuring the talkative Penn Jillette and the non-talking but subtly gesticulating Teller. 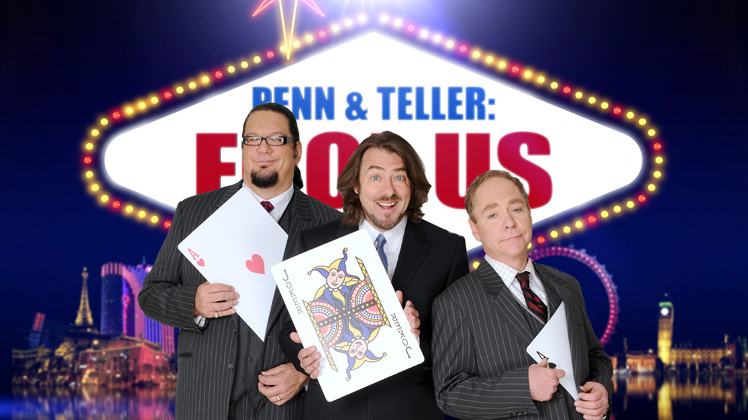 The two magicians have performed magic shows all over the world since the late ’70s — and since 2001, they’ve been appearing six nights a week at the Penn & Teller Theater at the Rio Hotel in Las Vegas. That’s where they produce this new American version of Fool Us. I was delighted when the show’s producers contacted me, asking if I would like to appear on the program. Of course I would! I’ve always loved Penn & Teller’s different and super-clever approach to magic, and performing my iPad magic on a program with them would be sheer pleasure for me. There are two modes of production for the program. One involves personal interviews with the featured magician, showing the magician interacting with people on the street. 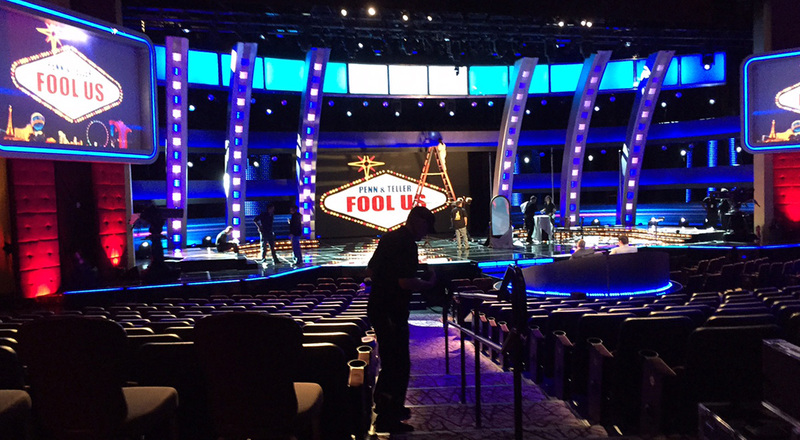 The other production mode is on the stage at the Penn & Teller Theater. There, magicians show their stuff to the audience, with show host Jonathan Ross running things and Penn & Teller sitting in a couple of comfortable chairs trying to figure out how each magic trick is done. The challenge? Fool them: Perform a trick the two master magicians can’t figure out. And as you can see in the video below, Penn’s reaction after I performed my selfie picture frame trick was, “You absolutely, 100% fooled us … three weeks ago!” When Penn & Teller saw a video from The Ellen DeGeneres Show where I performed the selfie trick, they were fooled. But once I came into their studio, they had figured out the secret. I was delighted with their comments. I liked the way the real point of the program is not winning or losing, but it exists to showcase magic in its best possible light. It turns out to be more than just a reality TV show — it’s lots of fun for everyone, and actually helps to further popularize the world of magic. Before we captured any video, the show producers invited me to meet Johnny Thompson, the legendary magician and magic consultant who works with the Penn & Teller team on various projects. For Fool Us, Johnny interviews each magician, and finds out how each trick is done. During the broadcast, Penn & Teller confer with Johnny, and he confirms whether they’ve correctly guessed how the trick was done or not. My friend and manager Charlie White and I had a delightful conversation with Johnny. He regaled us with tales of the old Las Vegas, before the corporations had moved in. He told us about magicians past and present, show business, what it’s like to work with Penn & Teller and a lot more. Eventually, we got down to talking about the trick I would perform on the program. Johnny liked my idea and encouraged me to go with it. 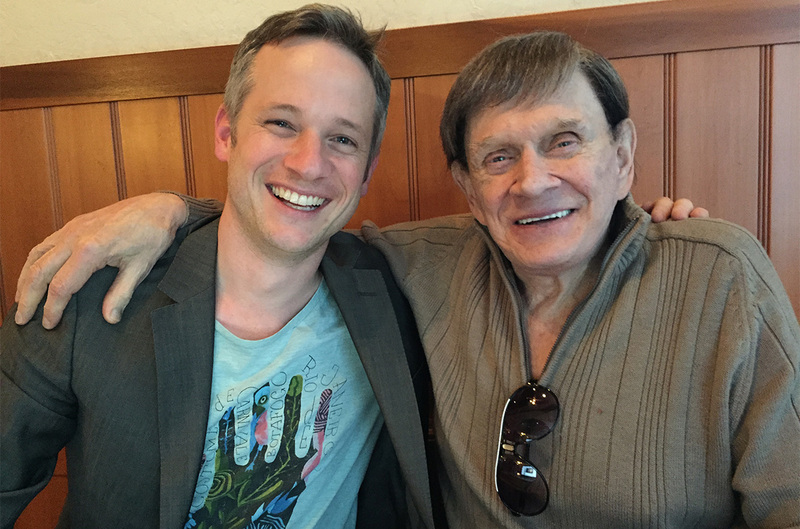 That memorable meeting with Johnny Thompson was more than enough — on its own — to make the whole Fool Us experience worth it! 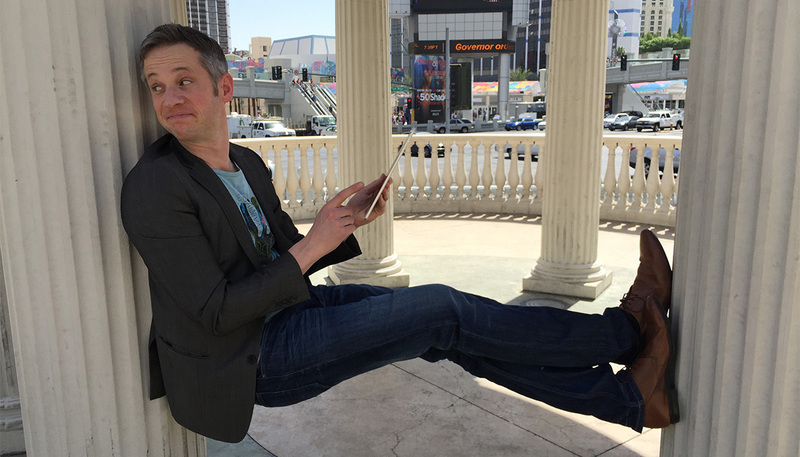 After that unforgettable meeting, it was time to hit the streets of Las Vegas, recording some street magic for the interview segments of the show. Who did I run into but the renowned magician Mac King! He was also having some fun with some street magic in Las Vegas, and it was a delight to meet him. Two weeks later, it was time for the studio segment of the broadcast, recorded on the same stage where Penn & Teller perform their nightly Las Vegas show at the Rio. What a great feeling I had performing on stage there! 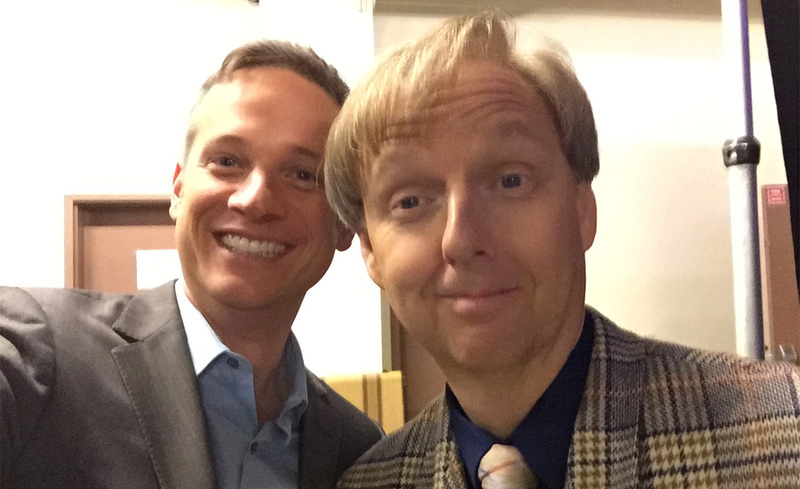 It was made even better with the help of Calen Morelli, a great Las Vegas-based magician who supported me backstage. “Fool Us” is fun TV show and I encourage you all to check it out, Monday nights at 9 pm Eastern/8 Central on The CW network. Thank you for posting this. I had been curious about how Fool Us worked in the US now. So glad to see the great Johnny Thompson is still involved. I hope you fooled them. I’ve seen your magic online and it’s darn impressive. I think you were fantastic and your Ipad tricks are really convincing and fun to watch. 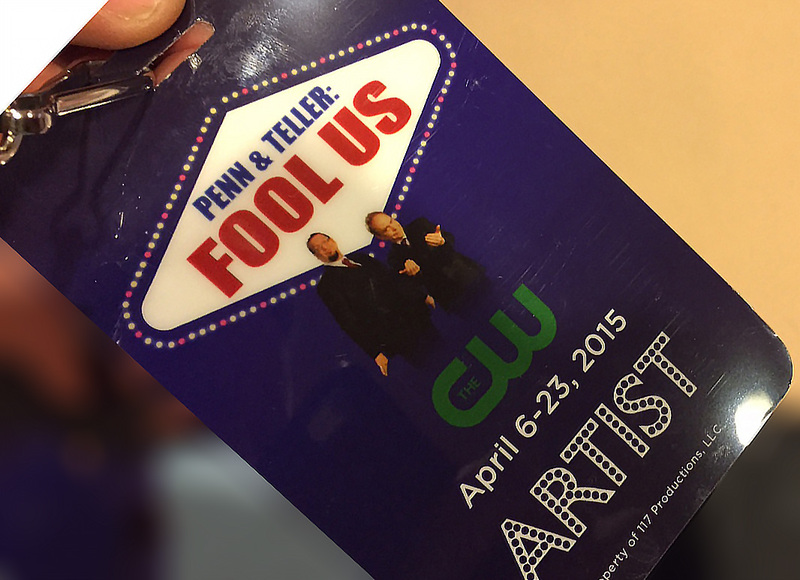 I am trying to figure out how you did the last trick that Peen and Teller said they figured out. Amazing. Good luck to you! On the show, they say you fooled them “3 weeks ago” what does that mean? Did they see your act prior to the filming? If you fooled then when they watched your act the first time, why did you not win? GREAT ACT!! i just saw you on an episode of Ellen, which led me to your website & videos of other performances. Wow!!! Absolutely incredible!!! I will be very excited to follow your career in digital magic. Thanks for taking a very old art & turning it into fresh, contemporary entertainment!